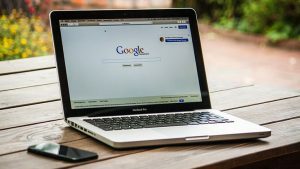 The European Commission (EU) has slapped Google with a €4.34 billion fine for allegedly breaching EU antitrust rules, sparking off what is set to be a contracted period of appeals. At its heart the fine revolves around the EU claiming that Google has imposed illegal restrictions on Android device manufacturers and mobile network operators in order to strengthen its dominant position in internet searches. 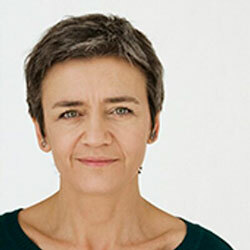 If you jump to the other side of the fence EU Commissioner Margrethe Vestager, who is in charge of competition policy, had this to say as the EU confirmed the fine: “Today, mobile internet makes up more than half of global internet traffic. It has changed the lives of millions of Europeans. Our case is about three types of restrictions that Google has imposed on Android device manufacturers and network operators to ensure that traffic on Android devices goes to the Google search engine. The issue for Google is not the money, a relatively paltry sum in comparison to its financials, but more the issue of what happens if its appeals fail. As we have seen in the past, EU cases like this tend to last a while and are appealed and appealed and then eventually settled. Just ask Microsoft. If you look at the history of this investigation, the EU’s interest in Google goes back to around 2009. In 2017 the EU fined Google €2.4 billion after claims it unfairly limited rivals of shopping comparison websites. 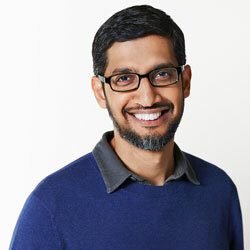 In his blog post Pichai lays out his logic about just how great things are due to Android: 24,000 devices from 1,300 brands, including many nationalities of manufacturers and 1m plus apps available from the Google Play Store. We must face the facts: Android is everywhere. On top of this should Google fail to comply, it would be liable for non-compliance payments of up to 5% of the average daily worldwide turnover of Alphabet, Google’s parent company. Oh, and for good measure, the EU also said that it had two more cases under way looking at the Android Operating System and AdSense – just in case anybody wasn’t thinking it was serious about its investigation of the company. The ball is now firmly with Google who no doubt has a raft of very well-paid lawyers pouring over an appeal. Just a short browse around the web will deliver you a myriad of forums discussing the subject of the EU fine. As you can imagine the community at large is split between those who think the EU is overstepping its authority and those who see Google as controlling entity that needs putting in its place. They are not the first company to have this visited upon them [Microsoft anybody?] and certainly will not be the last. Take a look at Pichai’s blog here, and if you want a treat follow his History link in the blog. If your eyesight survives, it is fun to see a map of the chaos we have lived with since 1974! For those of you eager to read an EU press release try this. Years ago, Microsoft ran afoul of the EU and despite its appeals the company found itself making adaptations to its Windows operating system. Despite the machinations of Pichai this latest lawsuit feels like it is going the same way. Market dominance slapped on the wrist as if it is a bad thing with the EU laying the law down and demanding that changes take place. Google looks set to push back, especially if Pichai’s blog is anything to go by, so we should all get comfortable, buy our popcorn in bulk and keep our eyes peeled for this lawsuit to get very eventful.